Drama schools will make sure that these 3-4 years will be full of the hardest acting training you will ever get in your life. Studying at drama school is both mentally and physically demanding. Most days you’ll be staying within the walls of the building, from 8am to 5pm Monday-Friday, studying theory in the morning and then going to apply everything into practice after lunch. All your free time will be spent doing homework, researching and writing essays. Your weekends will be packed with rehearsals with your fellow students. You must take full advantage of this training; there will be no second chance. Try to be the most dedicated and hard working actor, but also find time to enjoy the whole experience. There will be no space in your schedule to get ill and skip a class; as soon as you do, you’re going to be behind everybody else. It’s tough, but it’s necessary. This will become a great preparation for when you get out into the real world, because out there it’s all about struggling and working hard every single day. Being a student in a drama school means you have to stay physically and mentally fit at all times. This training will require a lot of self-motivation and self-discipline from you. As soon as you start your training, you’ll notice dedicated actors as well as those who seem to be slacking a lot in their training. You’ll see students going out every night to have a few drinks instead of working on their pieces or doing their research. There is no discipline among these students; they lack focus and they begin to forget why they applied to study there in the first place. Make an effort to avoid being one of them, otherwise you’ve just wasted too much of your energy, time and money. Remember that the more you put into your training, the more rewards you will reap. Teachers notice hard working and ambitious students ready to turn themselves into real performers, and these teachers try their best to dedicate themselves to students with potential. What’s that, student’s life? There will be none. You cannot afford the normal student life of parties and drinks — there’s too much work to be done. Famous drama schools are known to throw out students who slack off because they don’t want these people being associated with their school. Avoid distractions, keep your focus and never miss or be late for a class. You are paying top money for the chance to be taught by some of the great teachers in the country. Grow up, get it together and realize what an amazing opportunity this is for you. 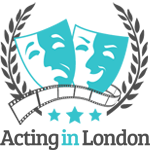 Aside from the theoretical side, studying at drama school mostly consists of body, movement, voice, Shakespeare, some screen and voice acting, and similar exercises. 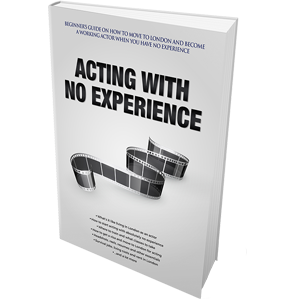 You will not encounter any specific teaching methods known in the acting industry, like Method or Meisner Technique. Remember that all disciplines should be combined by you into one whole. While being taught by different teachers at different times, it’s up to you to learn how to use them all — body, movement, voice — all at once in order to produce an amazing performance. Whenever you disagree with your tutors about teaching methods, avoid arguing; take in as much as you can from them. Process that information, evaluate it and draw conclusions. You don’t need to trust some of the specifics you’ve been taught in these 3-4 years but at least you’ve seen them and now you know everything your teachers knew. In case you will ever need to use this knowledge, for whatever purpose, you always have it in your mental arsenal. Drama school is all about learning things and experimenting. Failing is one of the many things you need to be doing here. Always try to go all the way to see what works in your acting and what doesn’t. This is the only time you can do this. 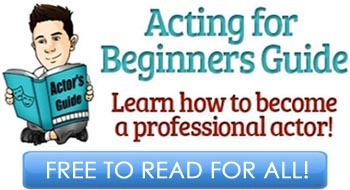 Everybody’s here to learn, and not being afraid to fail will only make you a better actor. Studying in drama school means being around other creative minds. Take advantage of it: get together with your fellow actors and stage a play, produce a short film or a web series, write a screenplay — anything will go. As you get into your second, third and fourth years, start thinking about the business side of acting. Explore every opportunity you have in your first years that will reward you once you’re done with training. During your last year, get your headshots done, make sure you have some credits from student films and plays and put them down onto your resume. Get a showreel made if you can. Establish connections and ask for references from your drama school tutors. During your last year, you’re going to have to decide on your professional stage name. Are you going to keep it as it is, or do you want to change it? In any case, you still have to register it with Equity (UK) or SAG-AFTRA (USA). Your very last performance at drama school is going to be your final year showcase. It’s a great opportunity to be seen by some top talent agents and casting directors. Don’t forget to prepare some business cards, your headshots and resume to give to acting agents if they ask for them. Final year showcases are always directed by professional theatre directors. Use this opportunity to connect and maybe even establish a relationship. These directors will obviously have connections in the industry and can refer you to CDs, agents and filmmakers they know if you prove yourself to be worth it. 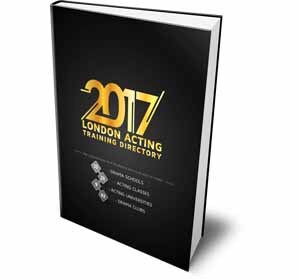 Generally, your time studying at drama school will fly by very quickly, so spend it wisely. Always think about the world you’re going to enter after you’re done here. 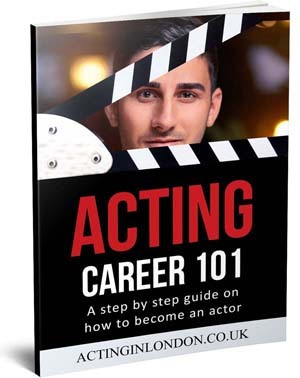 From the moment you have stepped through those drama school doors, everything you do and learn there will establish how much success you’re going to have after you leave. Be wise with your time, and keep your eyes on the prize.